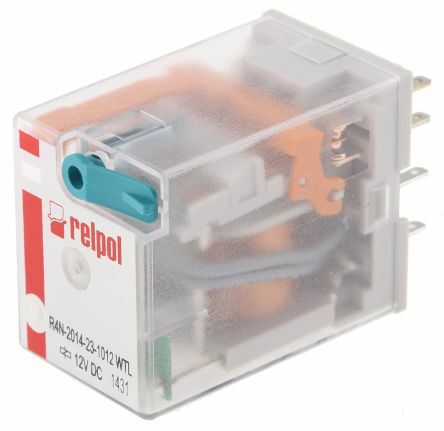 General purpose, miniature 4-pole changeover relays capable of switching up to 3A. 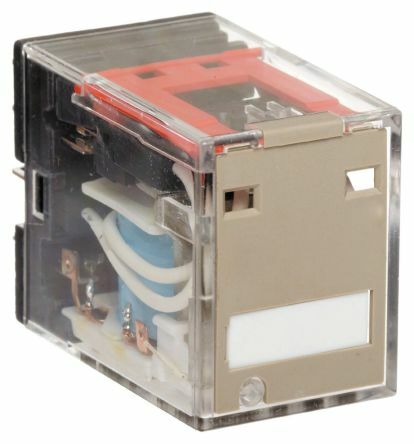 Type Omron part no. Terminals Current (max) RS stock no. 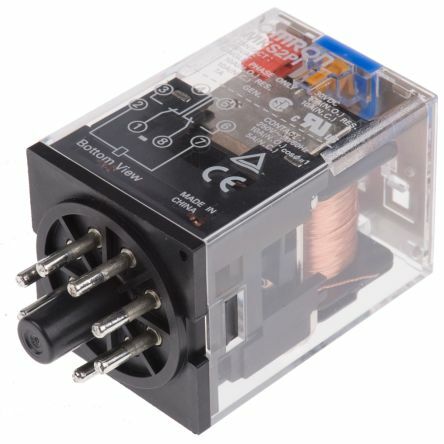 All units have a Mechanical indicator and lockable test button (with nameplate)Units with a "-5" in the Manufacturer Part Number have non-standard connections, refer to datasheetContact rating: 10A at 30Vdc/250VacContact material: AgSnInOperating temperature: -40 → +60 °C. 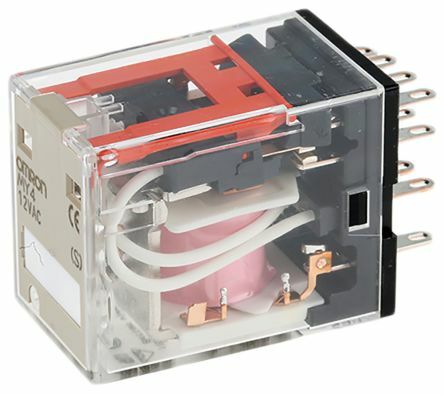 Switch power: 10A version: 1100W, 5A version 660WContact resistance: 100mΩIsolation coil to contact: 2000VacOperating temperature range: -55 to +70°CMaximum switching voltage: 250Vac; 125VdcContact material: AgNiDimensions: H42.4mm x W21.5mm x D28mm. Reliable, economicalUse PCB mounting socket 196-6153Use DIN rail mounting socket 196-6147Contact material: Au clad; Ag alloyOperating temperature range: -55 to +70°CSwitching current 3ASwitching voltage 250Vac; 30VdcDimensions: H36mm x W21.5mm x D28mm.